The 7 little pieces come together. How cute is this little doggie? So much fun to make, and the flower on her tail spins! 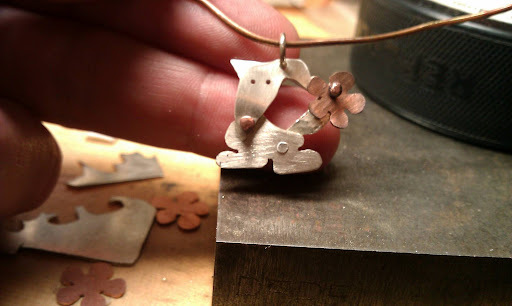 I really love making pendants that move in some way; jewelry that the wearer can interact with...if that makes sense. I have 9 finished pendants in the tumbler right now. It was a good day, a productive day.